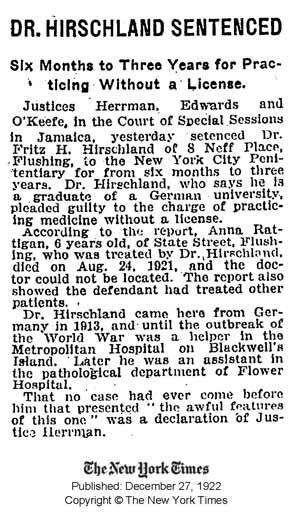 Dr. Fritz Hirschland (born 1880) received his medical degree in Germany and moved to the US around 1913. (An Ellis Island document suggests it might have been the year before.) Of course, he took up his vocation in Flushings after he got settled. The authorities did not like that very much. What Alex found even more amazing was that he lived only blocks from Roger Hirschland in Washington DC, who I first found when I lived across the street from him in Washington. 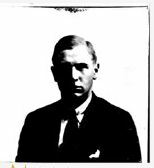 Roger (my second cousin) had been the first Hirschland outside of my immediate family that I met as a adult, and it appears it will be the same for Alex (our fifth cousin)!